If you have ever entered your attic on a warm summer day, you are well aware of the heat buildup that can occur in this space. Adding roof caps to the roof of the home can allow this air to be exchanged continuously for cooler outside air, making it easier to keep your home temperatures at a comfortable level. Roof caps can provide an attractive or even practically invisible solution to the problem of a hot attic in the home. First, these devices should allow warm air to escape from the attic area. This is often accomplished by providing an opening near the peak of the roof where the hottest air collects. Providing an escape for this hot air creates a chimney effect that draws cooler air into the space without the use of fans or other types of ventilators. A second function of the roof cap is to keep rain and moisture out. The cap provides an elevated umbrella like structure that allows air to escape without allowing rain to fall into the attic. The pipe like structure that elevates the cap above the roof ensures that runoff water from the roof is deflected around the device. 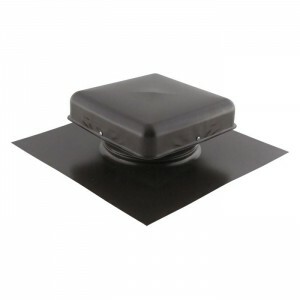 Finally, the cap should prevent small animals and insects from moving into the home. Good roof caps employ a screening material that allows the hot air to escape but keeps uninvited guests from moving into the attic. In order for the roof vent to remove heat and moisture from the attic, it should be paired with soffit or gable vents. The soffit or gable vents provide entrance for the cooler air that will replace the warm, moist air removed from the attic. Located in the Pacific Northwest, FAMCO has experience in manufacturing vents that are effective at removing heat and moisture while preventing leaks from rain or snow. They manufacture roof caps in copper, galvanized steel and pre-painted steel that are appropriate for use in home and business settings. If you find that you are having difficulty in keeping your home cool during the summer, the problem may be the heat buildup in the attic. Roof caps provide an effective method of reducing the attic temperature and in turn making it easier to keep the interior of the home comfortable with reduced electrical costs. Previous post: Wall caps are useful for rooms needing ventilation.